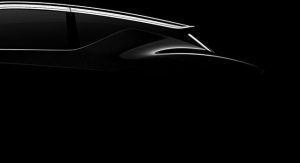 The New York Auto Show is just days away and Genesis is gearing up for the event by releasing a handful of new teaser images. 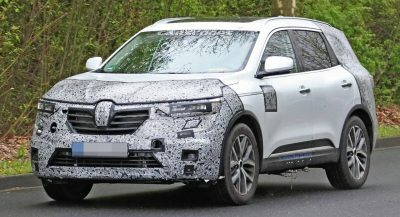 The company is keeping details under wraps, but the pictures show a stylish new concept which could be a three-door hatchback or crossover. 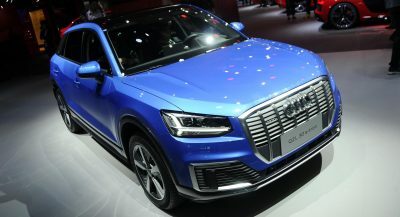 Regardless of what it is, the concept has a distinctive front fascia with unique lighting units. We can also see a front lip spoiler and a tiny grille. 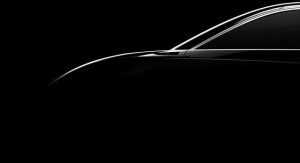 The concept will be unveiled tomorrow evening at 7:00 PM EST and Hyundai Motor Group’s design boss has already confirmed the vehicle will have an electric powertrain. 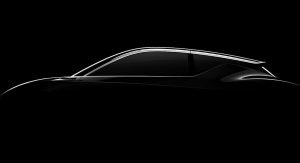 Details haven’t been announced, but it could follow in the footsteps of last year’s Essentia concept which had a “multi-motor electric powertrain” which enabled the car to accelerate from 0-60 mph (0-96 km/h) in an estimated 3.0 seconds. 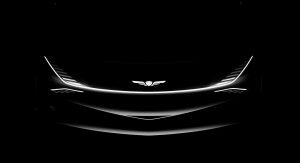 Besides the all-new concept, Genesis will show the US-spec 2020 G90. Originally unveiled last November, the facelifted sedan has a bolder design thanks to a new crest grille and restyled headlights. The flagship sedan has also been outfitted with a new hood, restyled taillights and an improved infotainment system. There’s no word on US specifications quite yet, but the South Korean model is available with three different engines including an entry-level 3.8-liter V6 that produces 311 hp (232 kW / 315 PS) and 293 lb-ft (397 Nm) of torque. The turbocharged 3.3-liter V6 packs 365 hp (272 kW / 370 PS) and 376 lb-ft (510 Nm) of torque, while the 5.0-liter V8 boasts 419 hp (313 kW / 425 PS) and 383 lb-ft (520 Nm) of torque. This is the ONE vehicle that I am looking forward to seeing. 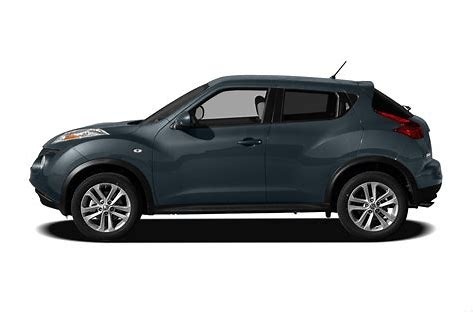 You sure that ain’t the Nissan Juke? because the shape screams it. From the shape of it, it looks more like the upgrade path for a Prius owner, than a Model 3 owner. 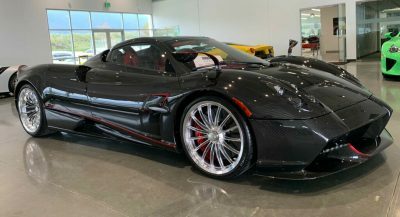 The SCG 003CS is street-legal in 49 states and can max out in excess of 230 mph. 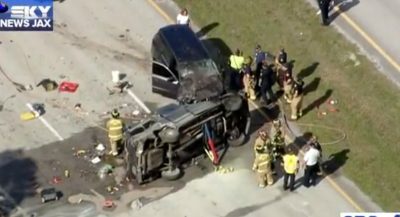 A Chevrolet Suburban and Honda Civic were filmed repeatedly hitting each other in Florida. The new generation of Subaru’s Outback promises better refinement and comfort as well. 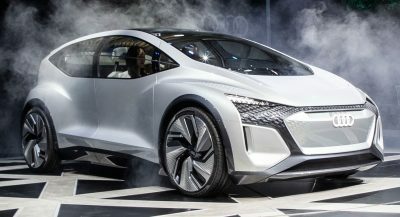 The electrified Exeed E-IUV aims to be more than just another conventional car. The Nissan GT-R50 will be capped to just 50 units worldwide with prices starting at $1.12 million. Cadillac Looks To Rebound With The CT5, But It Is Better Than The CTS? Cadillac is hoping to reverse declining sales with the all-new CT5 which goes up to order this fall. Skoda says the Vision GT study is “the modern urban car and the new sporty Skoda SUV for China”. The three-row 2020 Toyota Highlander SUV is offered with a regular V6 and a hybrid 4-cylinder. Alfa Romeo is offering U.S. buyers just 110 units in total of the Giulia and Stelvio QV NRing. First new Mercedes Black Series model in seven years will hold the title until the AMG One arrives.